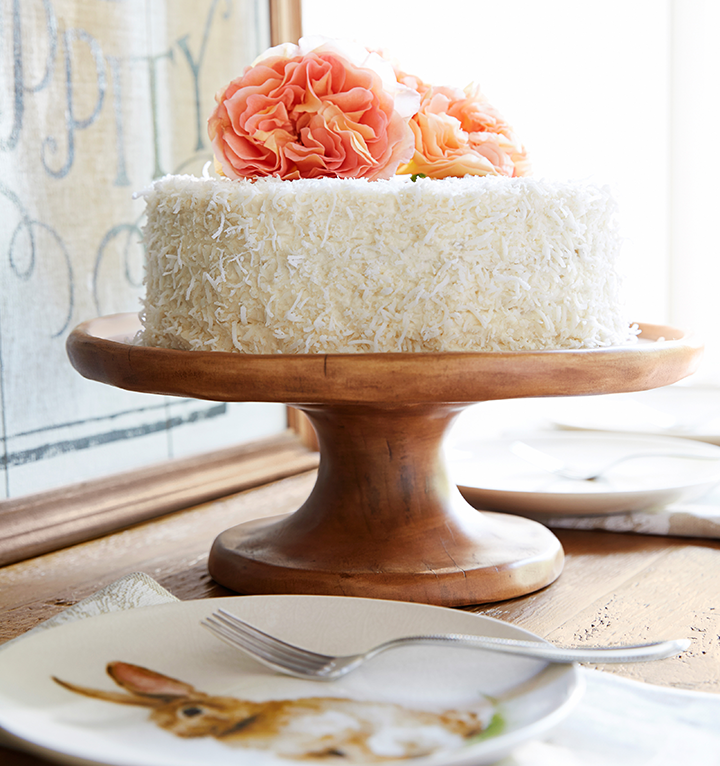 Let your cakes and other delecatable desserts take center stage on a beautiful cake stand. Vintage wood carved cake stand, available at Pottery Barn. 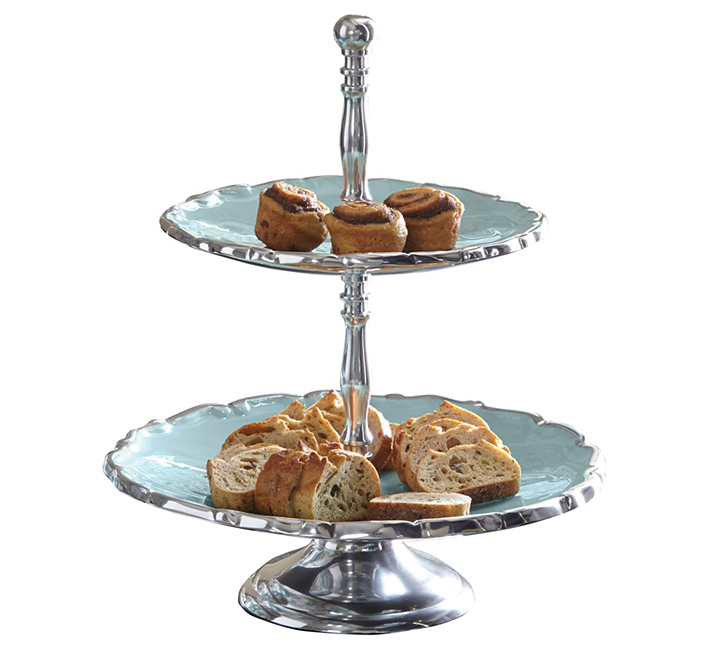 Aqua enamel two-tier server, available at Imogene's. Striped awning cake stand, by MacKenzie-Childs, available at Three French Hens and B. Davis Designs. 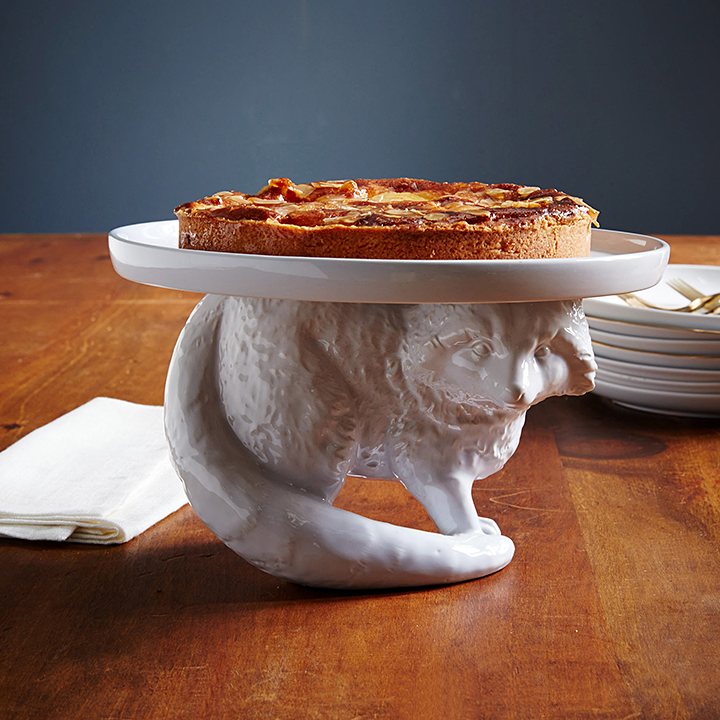 Rachel Kozlowski fireside animals raccoon cake stand, available at West Elm. Grand brasserie cast aluminum cake stand, available at Restoration Hardware. High heel shoe cake plate, available at Savvy Surrounding Style. one: Vintage wood carved cake stand, available at Pottery Barn. two: Aqua enamel two-tier server, available at Imogene's. 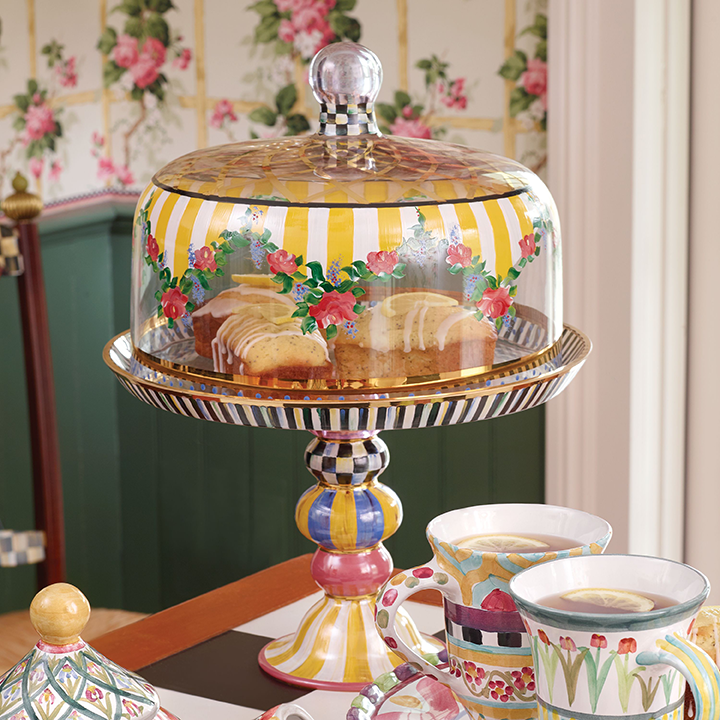 three: Striped awning cake stand, by MacKenzie-Childs, available at Three French Hens and B. Davis Designs. four: Rachel Kozlowski fireside animals raccoon cake stand, available at West Elm. 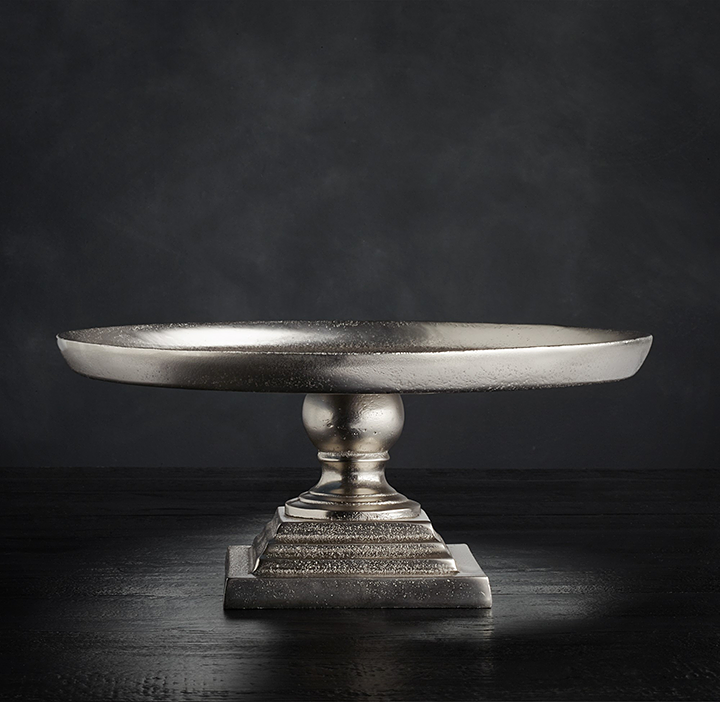 five: Grand brasserie cast aluminum cake stand, available at Restoration Hardware. 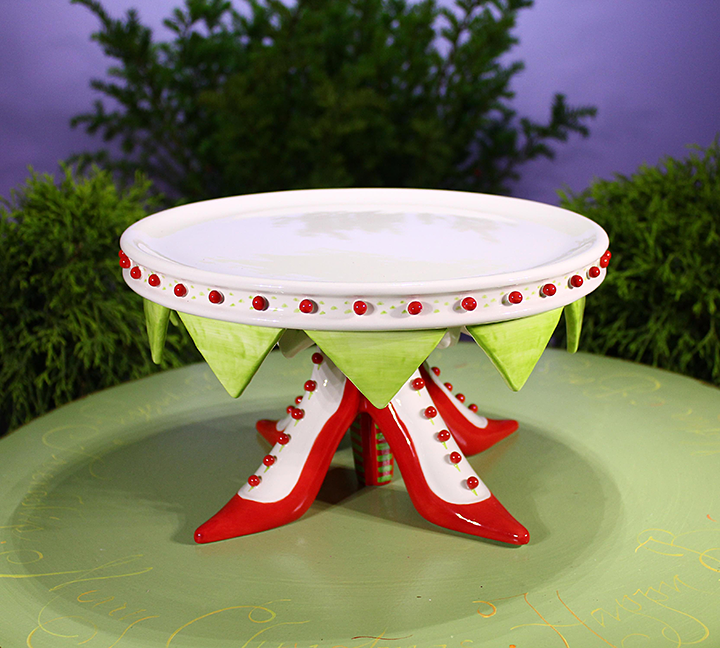 six: High heel shoe cake plate, available at Savvy Surrounding Style.